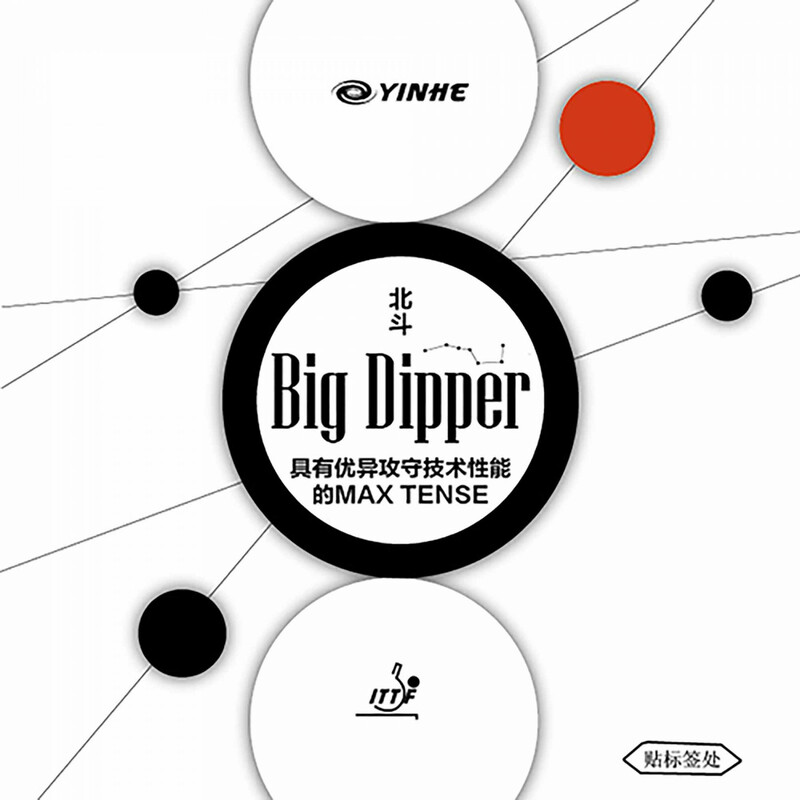 With Build-in tensor effect from Yinhe`s MAX TENSE technology, Big Dipper takes the Chinese tacky rubber to new heights by fully exploiting GOD CROSSBOW sponge`s potential. This sponge is formulated with the new non-celluloid ball in mind. Big Dipper allows for aggressive forehand play while maintaining a high degree of stability, thereby enabling seamless transition between offense and defense. Milky Way/Yinhe Rubber Big Dipper Soft is beeing added to cart.